Personal injury claims are one of the most common issues taken to court today, with claims relating to anything from automobile accidents to slip-and-fall accidents on a neighbor’s icy driveway. Many of these claims are exaggerated or entirely fraudulent, leading to a long process of questions and scrutiny while the injured party in a legitimate claim remains without their proper restitution, i.e., monetary compensation for an injury resulting from the negligence of another person. This is where a private investigator comes in. Using covert surveillance and other discreet investigative techniques, an investigator will establish the true cause of the accident that has resulted in an injury and determine who is at fault. A professional investigation ensures that each party’s privacy and legal rights are respected while undergoing the necessary measures to learn the truth. 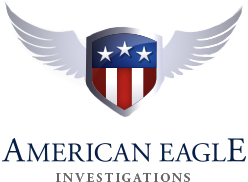 At American Eagle Investigations, we have been helping insurance companies as well as self-insurers obtain the required evidence in personal injury investigations for over 25 years. Our team of private detectives in NYC have the required skill and expertise to navigate a wide range of personal injury claims, allowing us to achieve the desired results every time. Are there time limitations to a claim? What kind of restitution can you expect in your distinct situation? Can the amount be renegotiated if it is not enough to cover the damages? What happens when the individual at fault does not have insurance? We understand that an injury of any scale can be debilitating, often preventing you from working, driving and living the full life that you deserve. Although monetary compensation cannot restore the time you have lost due to an injury, it can reimburse your lost wages, the unexpected medical bills, and much more. Thus, we will provide a detailed report of the required evidence that can be presented in court and will help you obtain adequate remuneration for your injury. If you have suffered a personal injury and are having difficulty obtaining proof for your insurance claim, your New York private investigator is only one call away! Simply dial 212-344-8997 or complete our contact form, and the team from American Eagle Investigations will gladly provide you with a detailed initial consultation.